Published on 16 July 2012. In 1921, the Ministry of Transport designated the Great North Road as the A1. 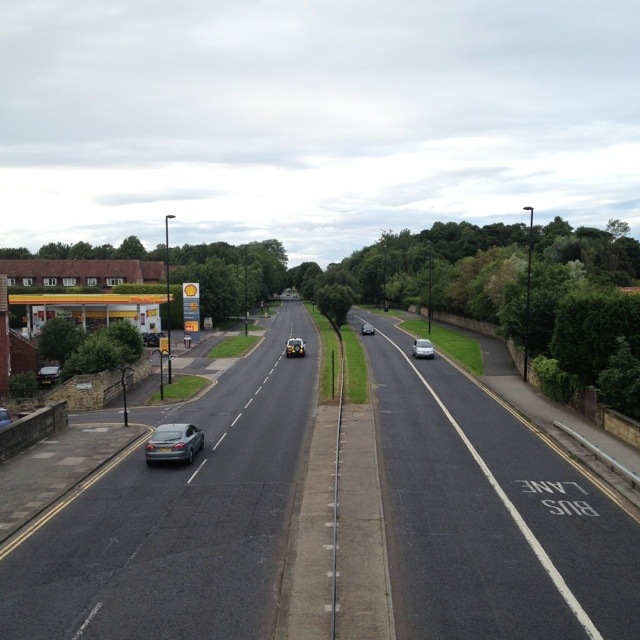 The bit of the Great North Road shown above remained part of the A1 until 1988, when the Western Bypass was built. Of course, these days the A1 is but a small part of the E15 which runs all the way from Inverness in Scotland to Algeciras, right at the bottom of Spain. Even Black Bess would struggle with a ride that long! This 1,725th post was filed under: Photo-a-day 2012, Gosforth, Newcastle-upon-Tyne.